Innovative Research Universities (IRU) is a network of seven comprehensive universities committed to inclusive excellence in teaching and research in Australia. Our membership is Charles Darwin University, Flinders University, Griffith University, James Cook University, La Trobe University, Murdoch University and Western Sydney University. Working collectively, the IRU is at the constructive centre of Australian university policy making. Charles Darwin University (CDU) is the Northern Territory’s university, with 11 campuses and centres stretching from the tropical savannas in the north to the central desert area in the south, as well as centres in Sydney and Melbourne. As a dual-sector university, CDU programs are among the most diverse in the country. Awards range from certificates through to doctorates, and education and training is delivered into more than 170 remote locations across the Territory. CDU’s research activity, which is often carried out in partnership with other universities nationally and internationally, reflects the cultural and biological diversity of the Northern Territory. Areas of expertise include tropical knowledge, desert knowledge, Indigenous knowledge, and south-east Asian studies. True to our mission of changing lives and changing the world, Flinders University is making a difference through innovative research and excellence in teaching and learning. Ranked among the top 2 per cent of universities worldwide by Times Higher Education, Flinders today comprises six Colleges teaching some 27,000 students, including nearly 5000 international students; 1500 are enrolled in our numerous offshore programs. 90% of our research has been ranked at or above world standard in the latest Excellence in Research for Australia assessment – key areas of expertise are biomedical and clinical sciences; culture, policy and society; health and human behaviour; molecular science and technology; water and environment. Flinders research has real-world impact, driving entrepreneurship and collaboration between the University and industry locally, nationally and globally. The only Australian university to offer Innovation and Enterprise courses across disciplines to every student, Flinders graduates emerge with the experience and critical thinking skills to succeed now and in the dynamic times ahead. Established in 1971, Griffith University was created to be a different kind of university—challenging conventions, responding to trends and pioneering solutions through innovative teaching and research. In just four decades, Griffith has grown to become a comprehensive, multi-campus institution, with 50,000 students and over 200,000 graduates. Ranking in the top three percent of universities worldwide*, Griffith is known for its high-impact research, outstanding student experience, commitment to social justice and welcoming environment. Griffith’s high-quality degrees are specifically designed to prepare students for the future, are developed in consultation with industry, based on cutting-edge research, and taught by Australia’s most awarded teachers^. Students benefit from an extensive network of industry partners to gain the skills and confidence that employers want. Griffith is regarded as one of Australia’s leading comprehensive research universities, with research rated above world standard in more than 30 disciplines (Excellence in Research for Australia 2015). The University exhibits national and world leading excellence in areas of strategic focus that include water and environmental sciences, health and chronic diseases, drug discovery, nursing, physical sciences, climate change adaptation, music and the arts, criminology, political sciences, education and tourism. James Cook University (JCU) is one of the world’s leading universities focusing on the tropics, and is dedicated to creating a brighter future for life in the tropics world-wide through graduates and discoveries that make a difference. JCU is a world leader in marine biology and coral reef ecology, and its research profile includes internationally recognised work in tropical ecology and environments, geosciences, disaster management, tourism, Indigenous education and rural, remote and tropical medicine and health. With its three main campuses located in the tropical cities of Cairns, Singapore and Townsville, JCU’s leadership in understanding and addressing the opportunities and challenges facing the tropical world has global impact. 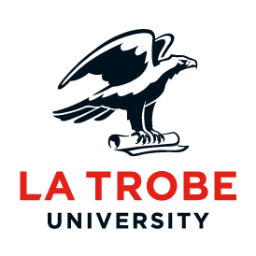 For more than 50 years, La Trobe University has been transforming people and societies. It puts students at the centre of everything it does, with a dual emphasis on excellence and inclusivity. More than 200,000 students have graduated from La Trobe since it opened its doors in 1967. Among them are the CEOs of some of our most prominent organisations, parliamentarians, human rights activists, medical researchers and Olympians. They are also nurses, teachers, journalists, engineers, artists and lawyers who have transformed lives, professions and communities. La Trobe is firmly entrenched in the top 400 of all three major world university rankings. In 2017 it recorded its best result in the respected Academic Ranking of World Universities. The university is now rated at 301 in the world, a leap of more than 200 places in just two years, to be Australia’s most improved university in that period. La Trobe is also the largest provider of university education in regional Victoria, with about 6500 student enrolments at our campuses in Bendigo, Albury-Wodonga, Mildura and Shepparton. Most students stay and work in their communities following graduation. Murdoch University helps people discover how to make a difference, through education and research endeavour. It remains one of the most inclusive universities in the country, providing students with quality education and recognised academic standing within an engaging and caring environment. Murdoch has a wide range of courses, with state-of-the art facilities such as a fully operational veterinary clinic, fully equipped TV and radio studios, and a world-class moot court. Murdoch’s researchers work with industry to identify and tackle some of the greatest challenges facing Australia and the world in the 21st Century in fields such as water, renewable energy, agriculture and biotechnology, social justice and Asian politics, development and security. Western Sydney University is a large, research-led university, situated in one of the most economically significant and fastest growing regions in Australia. Established in 1989, the University has over 170,000 alumni, 44,500 students and 3500 staff. Western’ is ranked in the top three per cent of universities worldwide, as well as the world’s top 100 universities under 50 years of age. Over 60 per cent of the University’s students are the first in their family to attend university. Western offers a growing range of flexible online degrees and is the lead partner and founder of LaunchPad, the region’s only, multi-site tech SME accelerator and startup incubator. Western has opened new high-rise campuses in the heart of Western Sydney’s fastest growing central business districts. The campuses, in Parramatta and Liverpool, offer Australia’s most technologically sophisticated teaching and research facilities. Have you seen our policy statements?